10 March - 30 September. 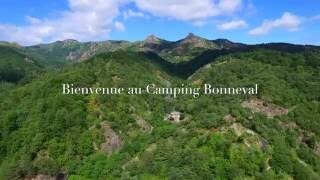 Camping de Beaussement is off the beaten track and ideal for families or couples seeking a more relaxed, quiet camping experience. The site is located at the end of a road with 14 mobile homes on one side of the road and 83 touring pitches on the other. The site has direct river access and is suitable for fishing, canoeing and swimming. An excellent adventure playground will occupy children for many hours and in season the owners organise campsite Olympic tournaments with other sites in the area. There is a small on-site shop offering basic essentials and a snack service. The site is not recommended for large outfits due to access. 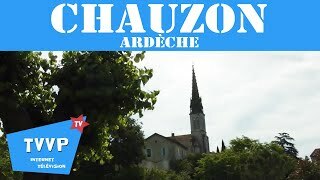 The local area is very quiet and the small village of Chauzon is 1 km. away with a restaurant and bar. The area is ideal for cycling and exploring. The site has a WiFi network. Access to the site is difficult as it cannot be reached through the village of Chauzon (village extremely narrow) and signposting can be confusing, but worth the effort for those seeking a peaceful holiday in a natural setting. Good English is spoken. Two modern, clean sanitary blocks. Very good facilities for disabled visitors. Laundry room. Shop and snack service (1/7-25/8). Adventure playground. Fishing and small boat launching. Pétanque. TV room. Games room. Activities for children (high season). Canoe rental. WiFi (chargeable). Gas. Fridge hire. Charcoal barbecues forbidden. Caravan storage facilities. On D579 towards Ruoms, take D308 signed Chauzon. Cross narrow bridge and follow road to right. Approaching Chauzon village, turn left before car park (not signed). Do not go through village (forbidden and extremely narrow). At T-junction, turn right, signed Campings. After 500 m. turn left to site.